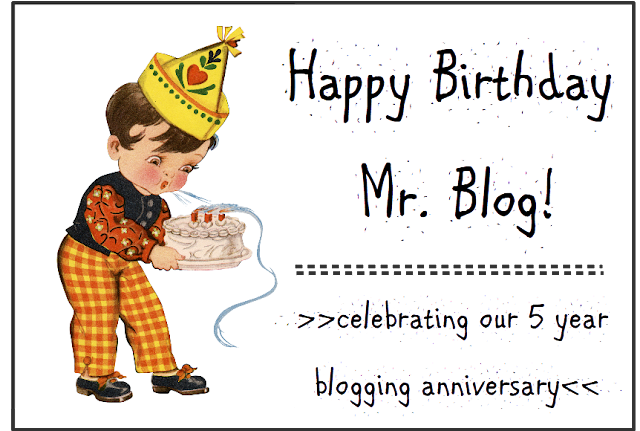 Mr. Blog turned five years old today. He's getting to be such a big boy. Can you believe that this is his 844th post? And that he has 1.6k Facebook followers? They sure do grow up fast, don't they. 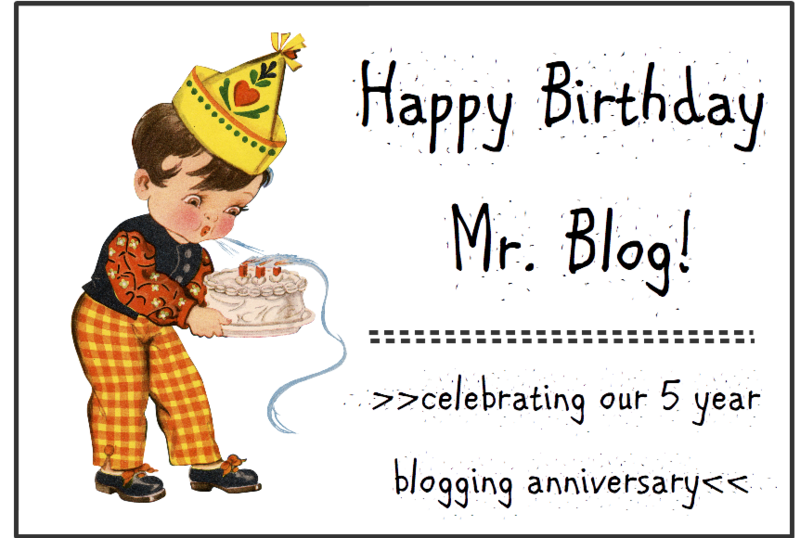 Every year on Mr. Blog's birthday, I do a little reflection on blogging. On his first birthday, I had a look at how Mr. Blog stacked up against the criteria for a good blog. On his second birthday, I shared some random thoughts on blogging including wondering what type of blog The Cynical Sailor really was. On his third birthday, I talked about monetizing (or not) one's blog with Adsense and Amazon. I completely forgot about his birthday last year. Oops. This year, I thought I'd talk about something a wee bit crazy that I did - starting a second blog over on my author site. Yes, it's a bit insane to manage not one, but two blogs, but I live on a sailboat which is the very definition of insanity. I've talked before about how I wished we hadn't named this blog The Cynical Sailor because it really evolved over time from a pure "sailing blog" into, well, a blog full of a lot of random nonsense, some related to sailing and liveaboard life and some related to things like travel, cats, polar bears, and possible alien invasions. 1 - Not everyone who follows this blog is interested in the writing side of my life. Although, I do post monthly on writing as part of the Insecure Writer's Support Group (IWSG) blog hop, feature books and authors on my Saturday Spotlight series, and mention my writing activity from time to time in other posts, I think I'd lose followers if that was all that I talked about. In fact, I think I'd stop writing this blog if that's all I talked about. 2 - Although my current book series is sailing-related, I've got lots of other ideas floating around in my head that have nothing to do with boats whatsoever. I'd like to be able to reach a broader audience in the future (not necessarily bigger) and a more "flexible" website seemed like the way to go. 3 - I wanted a static landing page and never could figure out if that was possible using the Blogger platform. It seemed a lot easier to use WordPress to set up my new site and not to try to monkey around and retrofit this one to work like I wanted. 4 - There was a certain appeal in starting off "fresh" and creating a website that wasn't as cluttered as this one has become. It's kind of nice to have simple, clean site that has a pure focus on books and my author activities. 5 - If we ever do decide to call it a day on The Cynical Sailor, I'll have another presence on the web already established. Now that I've set it up, my new site is pretty easy to manage. 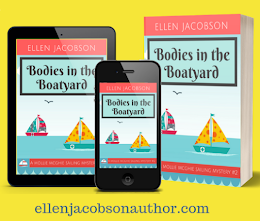 I only blog there twice a month (the first and third Mondays) talking about the writing process (I'm currently doing a series of posts on the different aspects of publishing a cozy mystery from a newbie's perspective) and sharing tidbits about our life aboard a boat that might be of interest to readers. While blogging twice a month might sound like a lot (especially given the fact that I blog here three times a week), it's actually quite manageable. 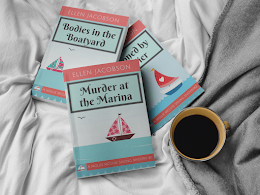 I've re-purposed some content from this blog and my posts on the cozy mystery publishing process are basically write-ups of research I've already done. Plus, I >>love<< blogging. If you don't love blogging, you shouldn't be doing it. Otherwise, it's just a chore you resent. If you're interested, you can check out my other site - ellenjacobsonauthor.com - and see what I'm up to over there. *Saying that out loud still freaks me out - me an author? You've got to be kidding. **I feel so pretentious talking about my "author brand." I think I've been listening to too many writing podcasts. For those of us in the Northern Hemisphere, it's summertime. For many people, summertime is about chilling out. I've noticed many bloggers are taking a bit of a break and I thought I'd do the the same thing. I've got a lot of work to get done on my next book during the rest of the month, so I'm going to take a blogging break until Wednesday, August 1st. But don't worry, I'll probably schedule a blog post with a cat picture from time to time over the next couple of weeks so that you don't miss me and Mr. Blog too much. What kind of blogs do you like to read? Are you a blogger? If so, how long have you been blogging for? Do you manage more than one site? 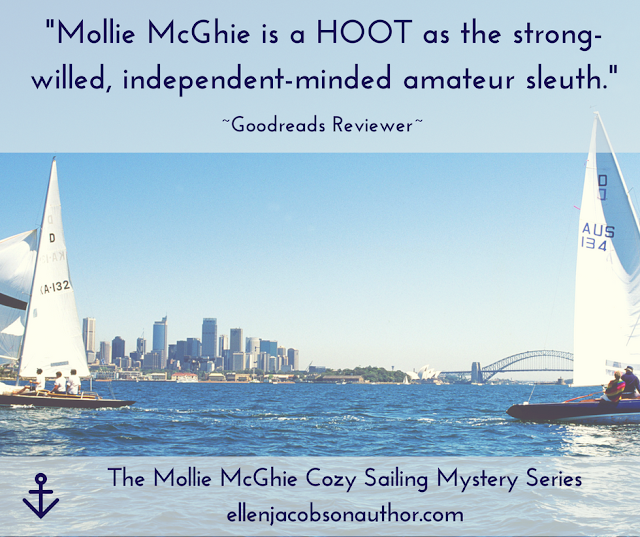 Murder at the Marina - the first in a new lighthearted and humorous cozy mystery series. "A dilapidated sailboat for your anniversary - not very romantic. A dead body on board - even worse." After this weekend, I'm taking a break until August 1 as well. Let's both get other there and enjoy life! I'm going to miss your blog until August 1! I think I will just keep coming here every Monday, Wednesday, and Friday, and find a random post to comment on (although I have been remiss with commenting lately, I have been reading your posts). Enjoy your blogcation! Thanks, Duwan :-) There will be cat pictures every MWF while I'm away to keep you entertained. An author site was a really good idea. Thanks, Diane! I think it was a good idea too - much cleaner to have two separate sites. Good for you. I never thought to keep track of how long I've been blogging but it only became a big part of my day in the last few years despite a friend first getting me involved over ten years ago! Crazy how time flies. Will miss you. Best wishes! You should check, I'd be interested in knowing. I've been blogging since 2006 and lost lots of years when I moved to WordPress. I don't regret moving either. I had two blogs for a bit, but is was overwhelming so I let the second one go. I agree with your book being a HOOT. I certainly is and I can see you all over the character Mollie. Just saying. Wow since 2006 - that a long time! It's a shame that you lost years moving to WP. I can't imagine the time it takes keeping up with two blogs. Kudos to you for your new book series, AND your new AUTHOR blog and brand! It actually doesn't take as much time as people probably think. But the key is to only do it if you enjoy it, then the time you spend on it is fun. Congratulations on your multiple successful blogs, and your authorship! Happy blogging birthday - and congratulations on all those followers. (I only have 173 so need to learn some new tricks). To be honest, I'm not sure how it happened. Just lucky, I think. I think WP looks much nicer, but maybe it's just down to how I set mine up on each platform? Congratulations on five years, and two blogs! It’s nice to hear you talk about your brand, you are a very entertaining writer, i hope you get to publish as many stories as you would wish. Congrats on creating yuor second blog. I popped over for a quick look see as I'm a WP. You may already know this but in case you don't. You can add your book to the side menu bar like you do on blogspot. If you go to your blog url then add "/wp-admin" , I think you get a much nicer menu. Scroll down to "Appearance" and click on "Widget". You can extra widgets like Google translations and your book from the various widgets here. For your book, add the "custom html" widget. It'll go into your sidebar. It'll be open so you can add your html. Drop your Amazon affiliate link to your book or an image with a link to your book. Once you've saved it, you can drag it up to wherever you want it on the menu. An image and a link won't need a amazon affiliate disclosure. If you're doing an affiliate link, add a disclosure statement with the "text" widget at the bottom of the menu. Thanks for the tips, Mary! That's so helpful. I'll have to do some experimenting. I don't have an Amazon affiliate account (I used to, but got rid of it). Enjoy your break and happy 5th birthday to The Cynical Sailor! I started my first blog on Blogger in (I think) Dec 2007 and my second (which eventually became The Glasgow Gallivanter) on Wordpress. I’ve created several other blogs since for other people and always choose Wordpress, I like it much better. I hadn't realized how long you and others had been blogging for. Very impressive track record! I started on Blogger in 2012 but I've been blogging since about 2006 and yes it does get quiet over the summer. Enjoy your break.